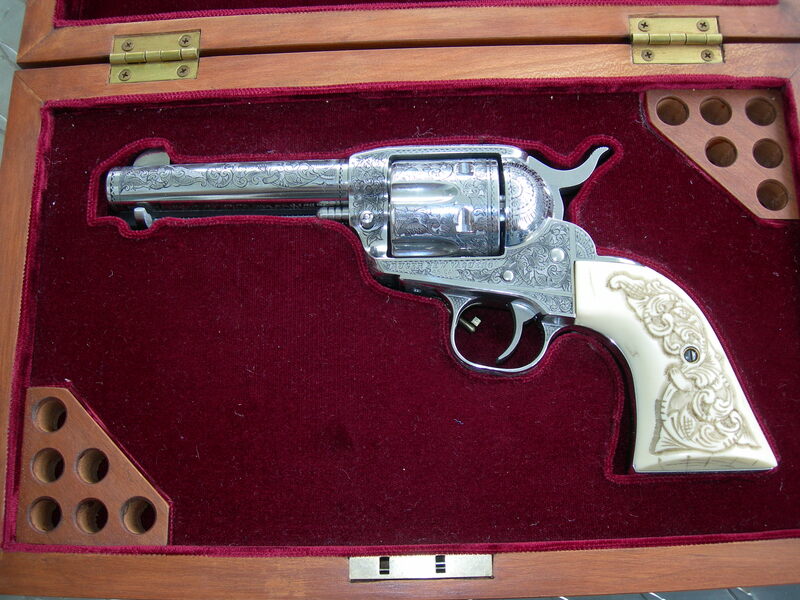 Fully engraved .45 Colt – like new with all papers and box with both custom Ivorex and factory grips. 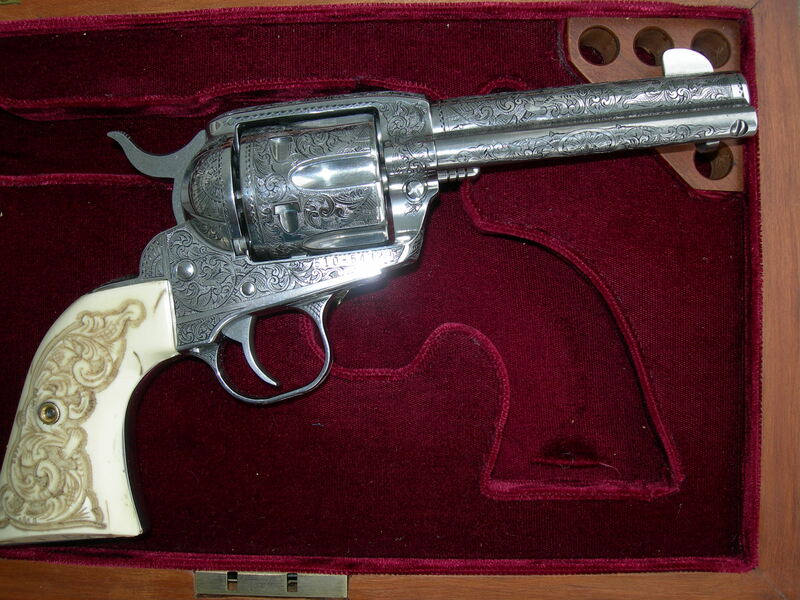 Fitted walnut case included. 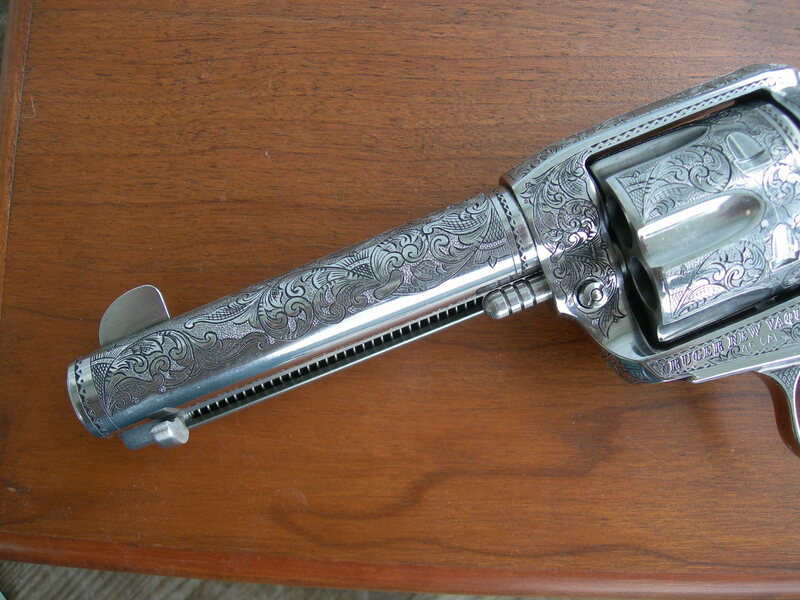 Comes with both custom and factory grips! 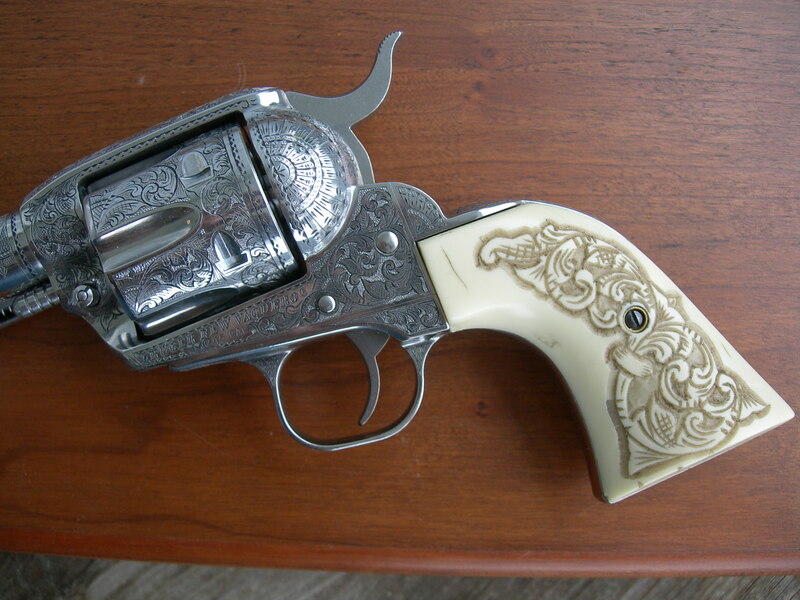 .45 cal Colt – Like New condition! 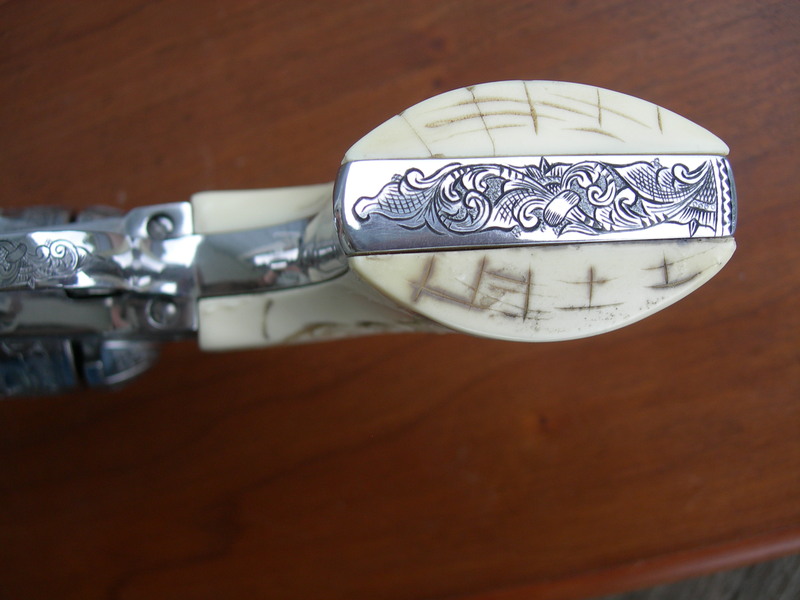 Engraved back strap with Ivorex grips. 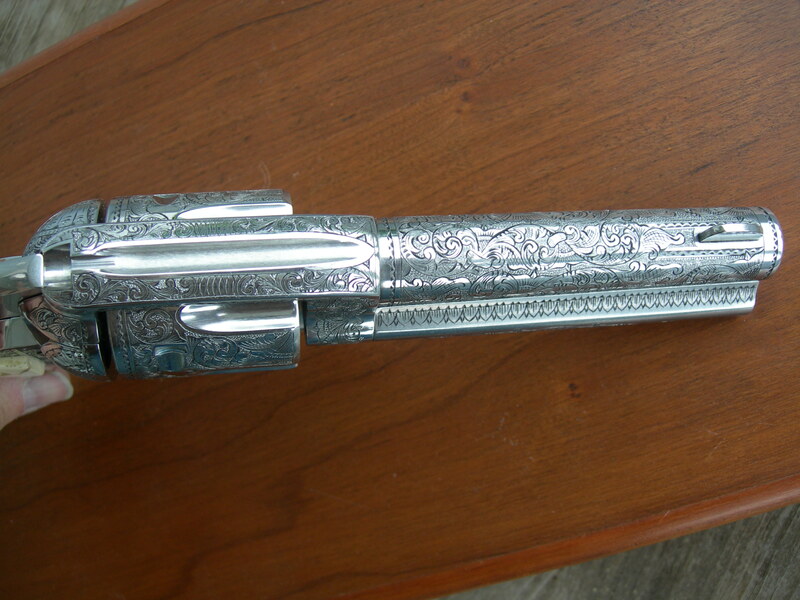 Engraved grip frame featuring Ivorex grips and factory grips also included. 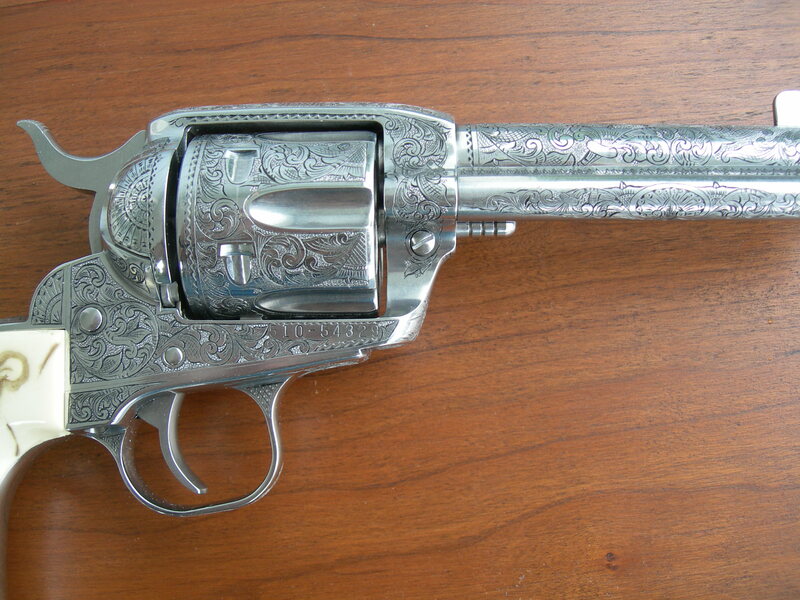 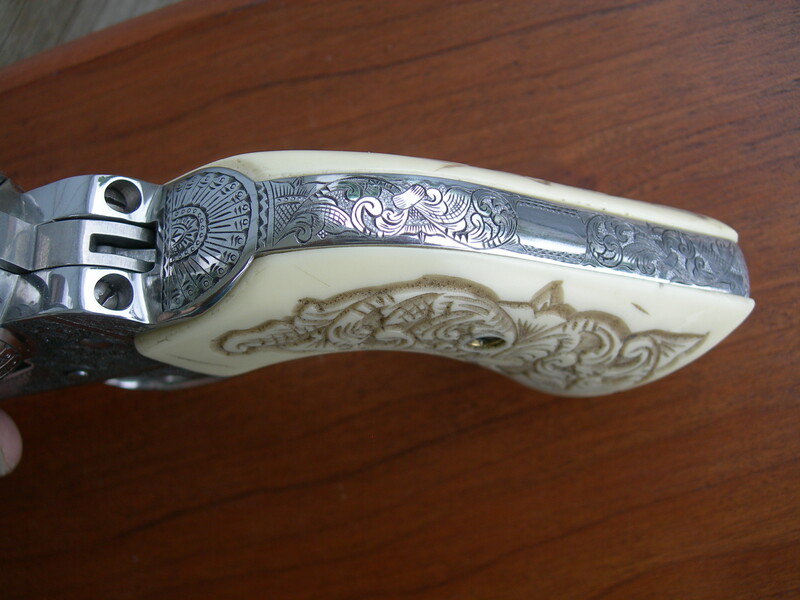 American scroll engraved trigger guard.